On last night’s satisfying “Game of Thrones” season finale Varys seemed to be everywhere. First, he popped up in Dorne. He offered Olenna Tyrell “fire and blood,” thus forging the bond between Daenerys Targaryen and House Tyrell. But then, by the end of the episode, Varys was already back with Daenerys and Tyrion on a fleet of ships headed towards King’s Landing. People wondered how he got around so fast. 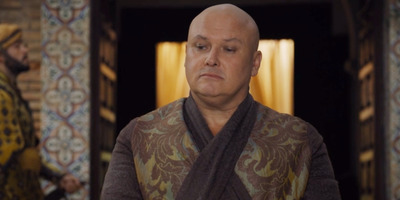 Perhaps there was a second Varys out there? But the answer is actually very simple. The show now has to balance many characters and storylines. A few weeks ago, co-executive producer Bryan Cogman told Entertainment Weekly about the simple trick used to tell so many stories at once. 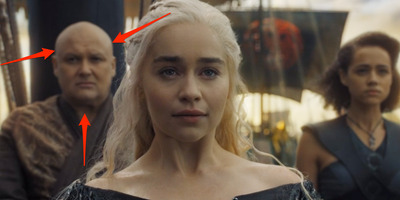 HBOVarys pops up again at the end of the episode. “The timelines between the various storylines don’t necessarily line up within a given episode,” Cogman told EW. Every character’s story unfolds over a different place in time. “We realised a while ago that if we tied ourselves in knots trying to make all the ‘story days’ line up between all the characters the momentum would suffer,” Cogman concluded. So while it isn’t specified, there is a possibility that the ship fleet is from an unspecified point in the future. Varys can’t travel through time, and he doesn’t have a mysterious twin. The show’s writers are just trying to juggle as many stories as possible at once.